East Asia has become a technology hotspot. Countries such as Singapore, China and Indonesia are seeing both high levels of internet and smart device use and healthy growth in their IT industries. Not wanting to be outdone, Malaysia is also fiercely adopting IT into its way of life and pressing for IT to play an ever-greater part. Following a 9% rise in internet users last year, broadband is expected to reach 65% by the end of this year. Out of the average 21 hours a week they spend online, sending emails, social media, and YouTube were most of the time goes. Facebook has 12.7 million users, equating to almost 48% percent of the country's total population and almost 75% of the online populace, and overall stands in 17th place globally. E-commerce is looking very healthy in the region generally, and Malaysia boasts the most online bankers in South-East Asia, with over 2.7 million users. This has been boosted a strong local brand presence, and saw a 16% increase in unique users from 2010-11. Currently Malaysia's smartphone penetration stands at around 27%, with a third of owners aged 25-34. Smartphone usage across South-East Asia is on the riseand set to increase dramatically in the next year. Nielson studies say Symbian is the most popular mobile OS, with around a third of the market. Though slowly being rectified, last year nearly half of smartphone users said they didn't use them to access the internet. The majority put this down to cost, something which will come down as users go up and bandwidth expands. Rather surprisingly, Malaysia is South-East Asia's biggest tablet market; buying 1.6 million devices in 2011 and generating 1.1 million ringgit ($374 million). According to GfK, around 2/3 of these new devices were running Android, generally because they were the cheaper option. 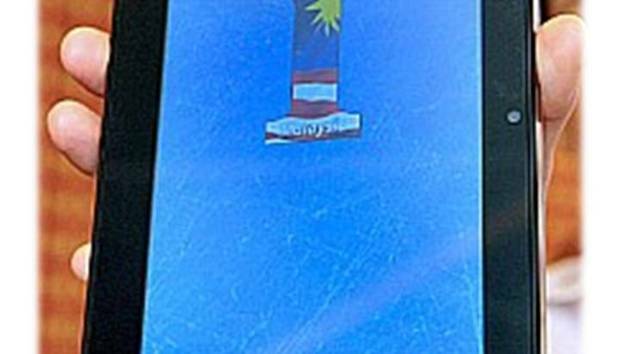 Although a new local tablet, the 1Malaysia Pad has just entered the market, and aims to break into the market with the help of their in-house app developing team that can personalise to the need of the user. Following the activation of the underwater BDM cable system in January, a system that connects Malaysia to Indonesia, a second cable system should be ready before 2015. The Asia Pacific Gateway (APG) has received investment from Facebook and other companies including China Telecom and China Unicom, and will run directly from Malaysia to South Korea and Japan, branching off to other countries. This will able to channel high volumes of traffic at high speeds straight and provide room for the inevitable data growth. As always however, the more opportunities people to get online, the higher the chance of being taken advantage of. Cyber-crime rose by 88% last year with fraud being the most common reported incident. The total cost of cyber-crime over the last five years is estimated to be around 2.75 billion ringgit ($897.6M), with the financial sector being the hardest. The last year the country has suffered two big security problems. Last November stolen government digital certificates belonging to the Agricultural Research and Development Institute were discovered on PDF files containing Malware , while around the same time a certificate authority in Malaysia was forced to revoke 22 certificates it issued with weak keys and missing extensions, causing Mozilla to revoke trust in certificates from the company. Much of the growth Malaysia has seen in recent years is due to the government's ambitious plan. The World Economic Forum's Global IT Report laid high praise on Malaysia, saying, "Trying to emulate the success of Korea and other Asian Tigers, the Malaysian government has been pursuing a long-term plan with the ambition of achieving high-income status by the end of the decade, with ICT playing a critical role," which it claims seem to be having a transformational impact on the economy and on society at large Support for IT isn't just coming from the state however, as the report also added that businesses are aggressively adopting technology. Aiming for 75% broadband by 2015, the government recently launched a new initiative to push IT into a stronger position in the Malaysian economy by creating new jobs, and introducing various project and online services. Alongside these new initiatives are various new bills and amendments; the most recent is a proposal for a uniform ICT security system and ICT offenses prevention method. However there is such a thing as too much regulation, and last year a bill was proposed to force IT professional to register before being allowed to work, much like a doctor or dentist. And despite promising never to censor the internet changes to evidence laws could be used by the government to silence bloggers. And like so many counties in the last couple of years, the government has fallen foul of Hackers, with 51 websites being hit by the Hacktivist group Anonymous in retaliation again censorship policies. Malaysia is on the right track and constantly growing its ICT industry, and it's great that the government is driving this growth. But interfering, over-regulating and censorship could only end up having a detrimental effect on the desired result. Continuing to foster growth without using the heavy hand of the law to intervene at every corner is the best the government can proceed.